Over the weekend, a Facebook post about mold drew more than 200 comments. The post, in the Port Orchard group, started with a complaint about mold in an apartment complex owned by Housing Kitsap. The person who initially posted said she had been unable to get a response to her complaints from the public housing agency. On Monday, I spoke with Stuart Grogan, Housing Kitsap’s executive director, who said he learned about the complaint over the weekend from South Kitsap Commissioner Charlotte Garrido. Somebody on the comment thread had contacted Garrido. Grogan said he checked the agency’s complaint logs and found none had recently been received regarding the unit in question at Housing Kitsap’s Heritage site, in Port Orchard. In November, I reported on Housing Kitsap’s meth abatement efforts at the Viewmont East Apartments also in Port Orchard. Housing Kitsap send a crew out to the Heritage site apartment on Monday. Inspectors do not believe the mold reported is the highly toxic form known as black mold. Grogan said they’re working on further diagnosis of the type of mold present and why the mold is forming. Mold spores proliferate on damp surfaces. Molds produce allergens and irritants that can cause a reaction in eyes, nose, throat and lungs of both mold-allergic and non-allergic people, according to materials from the U.S. Environmental Protection Agency that are posted on the Kitsap Public Health District website. The key to mold control is moisture control, according to the EPA. Water damage, leaky plumbing and poor ventilation contribute to the growth of mold. Housing Kitsap will follow up later this month with a comprehensive analysis of building issues at the Heritage apartments. Grogan encouraged residents to contact the Housing Kitsap maintenance office to report problems with mold, structural problems or other issues so they can be addressed during the building inspection; (360) 535-6101 (day), (866) 831-2975 (after hours). I’ll be checking in with Housing Kitsap later this month to see what they found in their survey of the Heritage site. Residents or anyone else with concerns can contact me at christina.henry@kitsapsun.com. In May, we wrote about Zac Stephenson, the South Kitsap woman who started a PTA for parents of children with special needs. Called SODA PTSA for “Support of Different Abilities,” the stand-alone, parent-teacher-student association, not affiliated with a single school, is chartered by the state PTA and is open to parents from all districts in Kitsap County. Stephenson wants to fills a niche for families like hers, whose special needs and interests aren’t always high on the radar of regular PTAs. Stephenson and her spouse Harmony have three children, Auri, 11, Toby, 4, and Sam 8, who has autism. Stephenson, a volunteer at Sam’s school Hidden Creek Elementary, wants to build a playground that children like Sam can enjoy. He prefers playing by himself, spinning and the feel of different textures. In the midst of trying to get SODA off the ground, Zac and Harmony have had a rocky time that just got rockier. Harmony since January has been receiving diagnosis and treatment of what turned out to be a chronic illness that affected her digestive tract. Harmony, the lone breadwinner of the family is not able to work at this time. Zac, a stay-at-home-mom, has not been able to work for some time due to multiple health problems, including a work-related back and neck injury. Both women have had surgeries since January. There’s medication and therapy appointments for Sam. Toby, too, appears to have some form of disability, which his parents are sorting out. On top of mounting medical bills, there was a fire last spring, started by the family’s Springer spaniel who knocked over a heat lamp trying to get at some baby chicks. And most recently, the couple has had car problems. “It seems like we just keep circling the drain,” Harmony said. On Aug. 20, Zac was trying to siphon gas out of one vehicle, which is not working, into another, which is. She used an electric pump that she didn’t know had a bare wire, and there was an explosion that set her on fire. Zac’s face was badly burned, and although she’s feeling better now, for some time she was crazed with pain. Earlier this week, Zac said she is feeling better. Her face is healing, and the pain is manageable. The family is doing OK for food, between the food bank and public assistance. Harmony is applying for disability assistance, which will help right the ship. The family lives frugally — no cable for example — so they don’t need much to live on. But transportation remains a problem. The van is OK, but their truck needs work and the car is dead. With everything going on SODA PTSA has been pushed to the back burner, but it’s not dead by a long shot, Zac said. On second thought, however, she will continue to head up the organization and still hopes to see its efforts toward fully accessible playgrounds spread to other schools and other districts. If anyone wants to help with fundraising and seeking sponsorships, Zac would welcome it, but the best thing anyone could do is join SODA PTSA for $15 a year, she said. For information on SODA PTSA or to join, contact Stephenson at 509-378-6263 or go to https://www.facebook.com/sodaptsa. To learn about forming your own special needs PTSA, contact your Washington State PTA regional director at www.wastatepta.org. Region 1 covers Clallam, Jefferson and Kitsap counties and includes North Mason School District. Your opinion on new EpiPen law? We’ve written a lot this week about a new law allowing epinephrine autoinjectors for general use in schools. Students known to be prone to severe allergic reactions, or anaphylaxis, have been able to bring one of the devices (one brand name is EpiPen) to school. The new law allows districts to maintain a stock of autoinjectors not assigned to individual students for use on playgrounds, buses and field trips, and for undiagnosed students having a first-time reaction. Doing so is option for school districts. But those who choose to stock EpiPens should also train and authorize nonmedical staff, like bus drivers and playground attendants, to administer them to students in an emergency, the state’s Office of the Superintendent of Public Instruction said this week. OSPI’s report, which came out Wednesday, offers guidelines and recommendations, not requirements and edicts. But local districts are looking to state officials for guidance. If you have a child with a severe food or other allergy, or if you work at a school, we invite you to take a poll at kitsapsun.com homepage about whether you think staff members other than school nurses should be trained to give epinephrine injections. Dan Ackerson’s blood saved Mike Myers’ life. Doctors told Myers he had a 5 percent chance to live after three types of chemotherapy barely fazed his acute myeloid leukemia, diagnosed Nov. 11, 2010. The cancer is characterized by the rapid growth of abnormal white blood cells that accumulate in the bone marrow and interfere with the production of normal blood cells. Bone marrow transplants are a last gasp. A patient undergoes chemotherapy and radiation to destroy the bad cells. In a healthy body, bone marrow makes young cells called stem cells. A donor’s are injected into the patient’s blood stream and grow and develop in the bone marrow. From the transplanted cells, the body resumes producing blood cells and develops an immune system. It generally takes several months to find a good donor. “They were hoping I’d make it into October so I could actually get the bone marrow transplant. I was really weak,” said Myers, who had dwindled from 190 to 130 pounds. Myers, of Poulsbo, entered Fred Hutchinson Cancer Research Center’s unrelated donor search program. Ackerson, a Navy doctor, had signed up years earlier for the Department of Defense bone marrow registry. Within five weeks, they were matched. “Typically this is a last-resort type thing,” said Ackerson, who flew from an assignment in Germany to the East Coast for the procedure. Myers got the transplant on Oct. 7, 2011. He continued to receive “chemo lite” until a few weeks ago. Healthy cells replaced cancerous ones. He slowly began to gain weight. In October 2012, doctors declared him clear of his disease. Formerly with O-positive blood, he now was fully flowing Ackerson’s A-plus type. Six weeks ago, a biopsy showed no sign of disease and he was taken off chemotherapy. On Nov. 14 he enjoyed his first normal blood test in three years, and was released to go places other than a hospital or clinic. The men have never met. They’re not allowed to exchange contacts until a year after the transplant. There are similarities. Myers, 54, served 21 1/2 years in the Navy, all but one of them in the Kitsap area. He was a fire control technician on submarines. Ackerson, 50, is a Navy family practice doctor, now in Jacksonville, Fla. Both are family men. Myers has a wife Debbie and two grown children. They look forward to getting together, though Myers can’t travel long distances yet. They keep in touch by phone and computer. Myers is grateful, and told his donor that at Thanksgiving. Myers wants to stay close with Ackerson and spend some time together. Ackerson urges others to get registered. He had to go in for a few shots to stimulate the marrow to create more stem cells, then wait eight hours while it’s filtered. Myers, up to 162 pounds, wants to return soon to his job with Electric Boat as a configuration manager for Trident submarines. 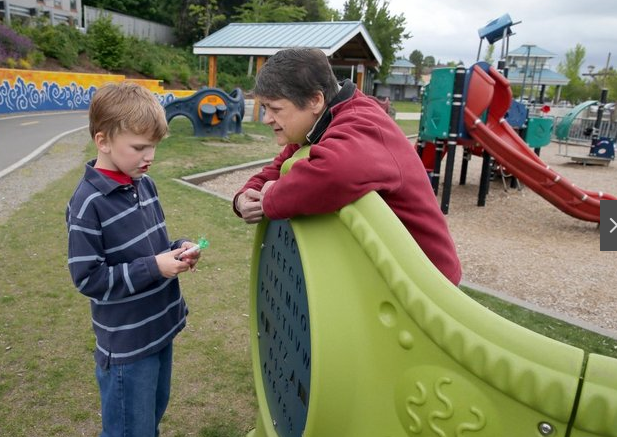 At the end of July I wrote about Kitsap County Coroner Greg Sandstrom and his involvement in a national program targeting families that need a safe place for their children to sleep. At the time Sandstrom had five Graco Pack ‘n Play portable cribs to give away. Shortly after my article was published all the cribs were spoken for, but the list of people needing the portable cribs was growing. It wasn’t long after the article ran that Sandstrom was contacted by the national nonprofit organization Cribs for Kids — the agency he partnered with to help combat the high number of accidental baby deaths — who let him know if he could raise $2,500 from the community the organization would match that amount and send him more cribs. Last week Sandstrom sent me an email saying he’d met the financial match thanks to generous donations from the community. That means 75 more cribs are headed to Kitsap County for low-income families that otherwise do not have a safe place for their babies to sleep. If a family is given a crib they also receive education about the American Academy of Pediatrics’ safe sleep guidelines for infants that include always placing a baby on its back to sleep and keeping things like blankets, pillows and toys out of the crib to reduce a baby’s chance of suffocation. Sandstrom credits donations from individuals, the East Bremerton Kiwanis Club, Central Kitsap Fire and Rescue, Bremerton fire fighters and the Boilermakers Local 290 for helping reach the $2,500 goal. “For several years now, our office has been providing public education to schools and the Navy, participated in high school mock crashes (which are sponsored by MADD) and instructed other agencies on the proper way in investigate infant deaths. This gives us an opportunity to provide a tool along with the training that will aid in safe sleeping,” Sandstrom said in a news release. Once the cribs arrive, Sandstrom will work with Kitsap Community Resources to identify families in need. KCR will distribute the cribs, he said. Just as a follow-up, I had had several requests come in for the cribs, so I need to order more in a hurry! (Not a bad problem to have.) I also just found out that the headquarters for the “Cribs for Kids” Program will send me 100 cribs for $2,500.00, because of a matching grant they have. I didn’t know it would be too late to put that information out to your subscribers or not, but that comes to just $25.00 a crib! It would be wonderful to provide that information to someone wanting to donate to this life saving need. I assumed the story would appeal to parents who want their baby to have a safe place to sleep, but I didn’t think Sandstrom would see the cribs snatched up so fast. Sandstrom just started this program, so he hasn’t yet had a chance to appeal to the community to help raise the money needed to buy more cribs. He makes sure before buying them that they are safe and not on any recall lists. Sandstrom also provides educational information with the crib reminding parents about safe sleep environments for children, including placing infants and babies on their backs to sleep in a crib that hasn’t nothing else in it — no blankets, no stuffed animals, no toys, etc. If you’re interested in donating money to help Sandstrom meet the $2,500 needed to buy 100 cribs from the national program, contact Sandstrom’s office at 360-337-7077. South Kitsap Fire & Rescue emergency responders took advantage of warm weather Monday to practice water rescue on Long Lake. 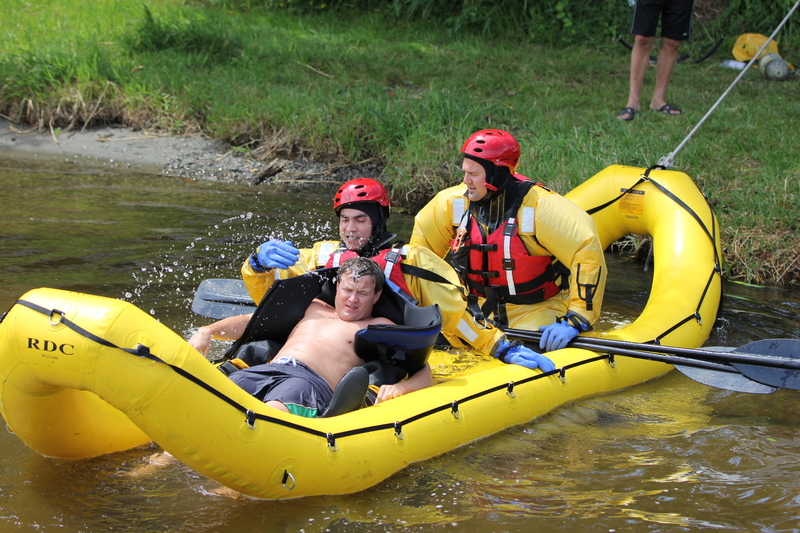 The training was led by Firefighter Ed Seibolda certified Rapid Entry Rescue Swimmer. Crews practiced donning ice rescue suits and launching rapid deployment craft. The inflatable craft serve multiple purposes including rescue operations on Puget Sound (such as responding to a submerged vehicle), lake response, swift water or ice rescue situations. Crews competed for the best deployment time, which was about 2 minutes and 20 seconds, Powers said. SKFR reminds people to practice water safety. The American Red Cross recommends swimming with a buddy, and having children and inexperienced swimmers wear U.S. Coast Guard-approved life jackets. But but do not rely on life jackets alone, safety experts advise. Life jacket loaner boards are located at Long Lake and Horseshoe Lake County Parks during the summer months. * Swim in designated areas supervised by lifeguards. * Ensure that everyone in the family learns to swim well. Enroll in age-appropriate Red Cross water orientation and Learn-to-Swim courses or classes at your local pool. * Never leave a young child unattended near water and do not trust a child’s life to another child. Teach children to always ask permission to go near water. * Establish rules for your family and enforce them without fail. For example, set limits based on each person’s ability, do not let anyone play around drains and suction fittings. * Do not allow swimmers to hyperventilate before swimming under water or have breath-holding contests. * If you go boating, wear a life jacket. Most boating fatalities occur from drowning. * Avoid alcohol use. Alcohol impairs judgment, balance and swimming skills, and it reduces the body’s ability to stay warm. June 22 began like any workday for Bill Zimmerman of South Kitsap, owner of First Choice Construction. He got up at 5:30 a.m., showered quickly, dressed and headed out to pick up materials for a job he was doing for a neighbor. Bill, 55, who does custom construction, is meticulous and driven, according to his girlfriend of 14 years, Doreen King, 57. He was particularly anxious that day to pick up a slab of granite that had been delayed in delivery. But as the slab was being transferred to Bill’s truck, it fell and shattered. Bill, his frustration mounting, waited two hours for a new slab to be cut and polished. He recalls telling her maybe he’d have to knock off lifting granite, leave it to the younger kids. He recalls thinking maybe he’d pulled a muscle in his chest. That granite was 300 pounds, after all. And that was all Bill remembers until five days later when he woke up in Harrison Medical Center’s intensive care unit. Doreen, or Dee, as Bill calls her, is a Navy veteran and former reservist with a lengthy career in medical billing. While in the reserves, working at Naval Hospital Bremerton, she learned basic first aid and CPR, and she happened to have a blood pressure cuff in the home. She checked Bill’s vital signs and was alarmed at the numbers. Dee was just about to say, “Let’s go to the hospital,” when Bill looked at her and said, “Oh, no.” His head dropped back, his eyes rolled, “his mouth contorted and his whole body seemed to be in a spasm,” Dee said. 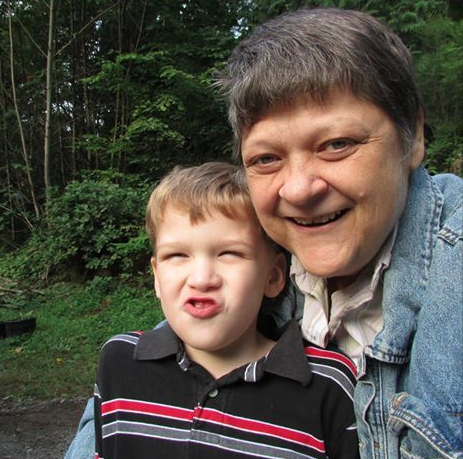 She and her son, Pete, moved him to the floor, where Dee began CPR, as Bill was not breathing. Every time she stopped to check, Bill would take one large breath but no more, so she continued with compressions, as Pete called 911. South Kitsap Fire & Rescue medics arrived within five minutes (4.5 by Doreen’s recollection). They “shocked” Bill three times and hustled him into an ambulance. On the way out the door, Dee was surprised to meet the EMS chaplain. “Were they expecting the worst?” she wondered. In the emergency room, the pace of activity and urgency in the doctors’ and nurses’ voices told Doreen that Bill’s life “was hanging by a thread.” A cardiologist put a stent in a blood vessel that was completely blocked, and — miraculously, by his doctor’s account — Bill survived. The doctor credits Doreen’s effective CPR with the fact Bill did not suffer any brain damage. Bill was sent to the intensive care unit, heavily sedated, and put on a ventilator, since he had inhaled body fluids during his ordeal. After five days of intensive respiratory therapy in the ICU, his lungs were clear enough for him to be woken up and taken off the ventilator. Both are grateful to the SKFR paramedics, the staff of Harrison’s ER and ICU, and Bill’s cardiologist, Dr. David Tinker. “He (Bill) was in the right place at the right time, with the right people, just the way God wanted it,” Dee said. Three weeks after the heart attack, Bill was in the doctor’s office asking when he could go back to work. Bill has quit smoking, replaced coffee with tea and can look forward to taking medications for the rest of his life. He has to take it easy — no lifting granite slabs, at least until he gets the doctor’s OK. But there’s no doubt he’s making a remarkable recovery. There’s another problem, however. While Bill was in the hospital, someone stole his tools out of his truck. Because of his sudden illness, the truck wasn’t secured and it was parked just off his property, so homeowner’s insurance won’t cover the tools. Nor will Bill’s auto policy. Replacing them would cost about $3,000. To make matters worse, Dee, was laid off from her last position with the Veteran’s Benefit Administration and is seeking work in a crowded job market. But in between worrying about getting through each day, the couple has been able to put things in perspective. Bill’s relatively smooth recovery since his release from the intensive care unit has give the whole episode a surreal sheen, Dee said. It almost seems like it never happened. But then, she’ll look outside at the lawn and wonder how things would be if Bill weren’t here to mow the grass, little things like that. For information on CPR classes, contact your local fire department. In South Kitsap, visit, South Kitsap Fire & Rescue’s website (skfr.org), or call (360) 871-2411. The Home Builders Association of Kitsap County will offer a CPR class at 10 a.m. Sept. 8 at the HBA office, 5251 Auto Center Way in Bremerton. Those who complete the training will be certified for two years under the Washington State Industrial Safety & Health Act, which requires a “person holding a valid certificate of First Aid Training be present or available at all work sites.” The fee is $50 for HBA members; $60 for nonmembers. Register online at www.kitsaphba.com. A donation account to help cover medical expenses and tool replacement has been set up for William Zimmerman at Kitsap Credit Union.